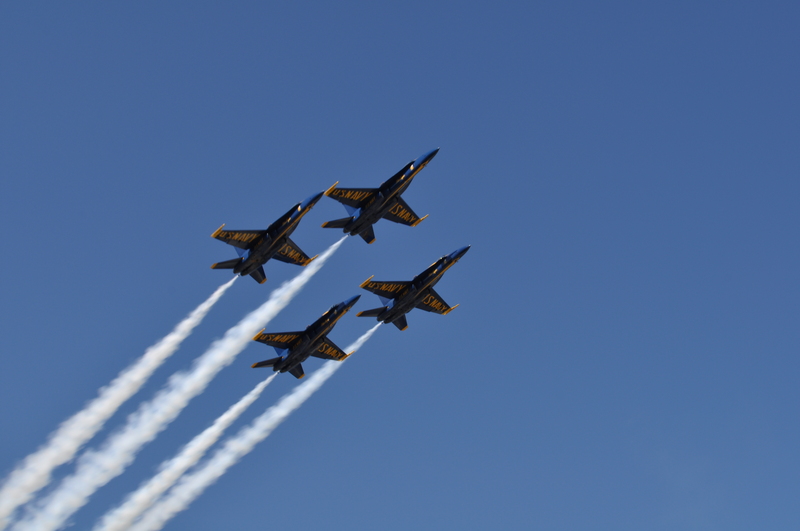 The Blue Angels are part of the Navy as a recruiting effort and to represent the naval service to the United States. 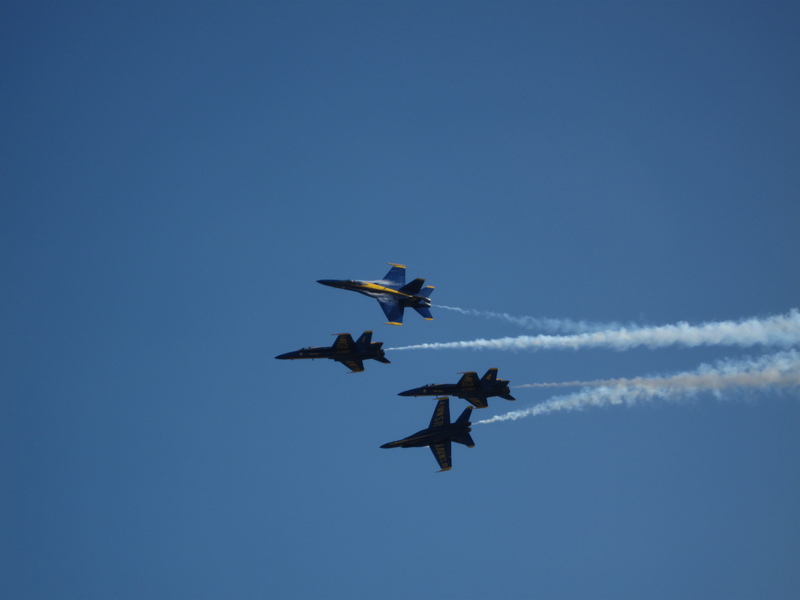 These pictures were taken when they were in their four-jet Diamond Formation at the Chicago Air and Water show performed at North Beach. This entry was posted in Amusement, Chicago, Festivals, North Beach, Sports. Bookmark the permalink.